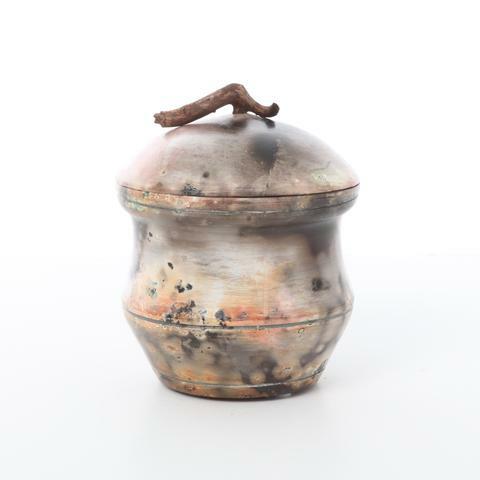 This small lidded jar is full of character and bursting with delicate peachy shades of pink and orange, swirled through with smokey grey and little splashes of green here and there. Its earthy yet elegant character is topped off with a small handle of natural driftwood. This little jar would be right at home displayed on a desk top or side table. Piece measures approximately 6″ high, 5″ in diameter, and could be used as functional storage for small items or as a stand-alone display piece. There are four felt pads on the base so as not to damage the display surface.